Bread is probably the most accessible yet the most coveted food item that there is. Even though bread is literally eaten by everyone, all the time, it keeps evolving and redefining how it is consumed. 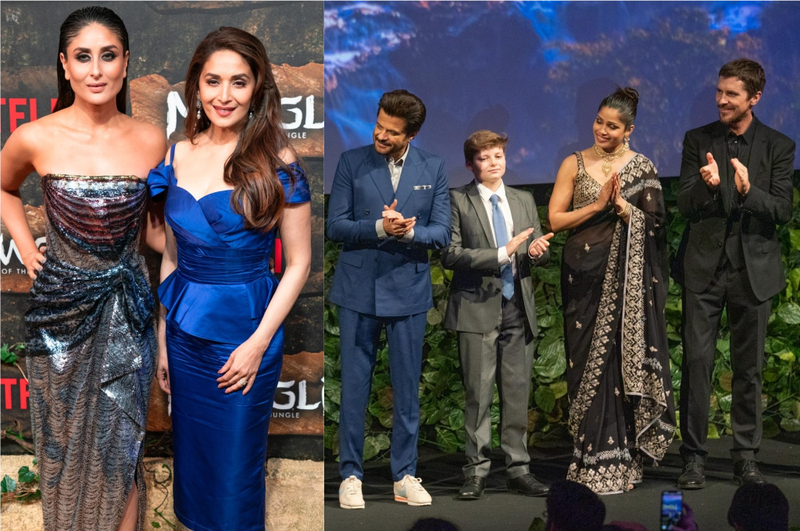 This is obviously one of the reasons why there are multiple varieties of bread and we love them all equally; from their healthy avatars to their fancy ones to their classic ones. Made from wheat, rye, and some more cereal grains, Sourdough bread is prepared by fermentation of dough. 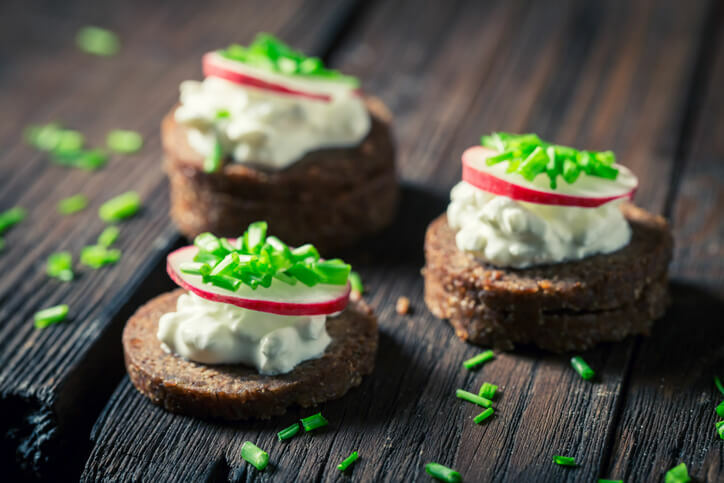 This preparation gives the bread a slight tang and so when paired with even something as simple as butter, it provides us with a gamut of flavours! 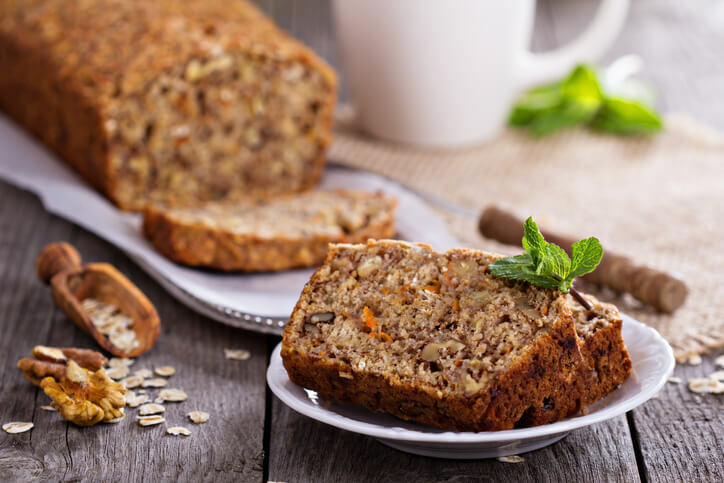 Sprouted bread is one of the healthiest breads out there, owing to its composition of being churned out completely by seeds and cereal grains. 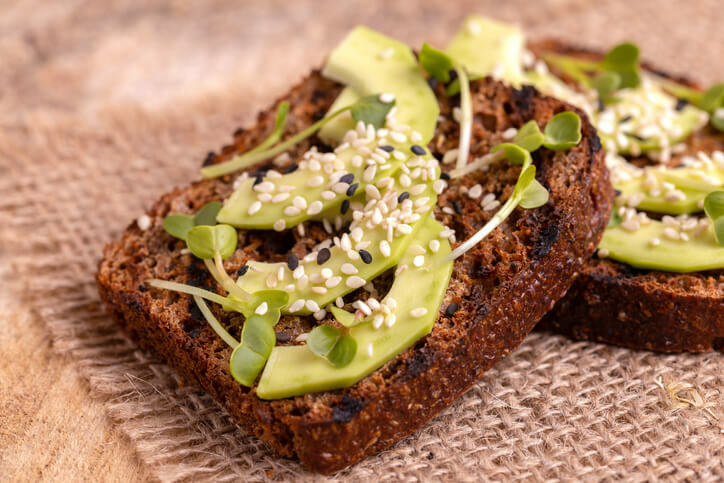 This version of sprouted bread, as per Wikipedia, is baked with the sins of the baker and that may have something to do with it’s very quirky name! But now paired with some greens, an Ezekiel bread brings only joy to those who eat it! This is your regular white bread, that even though with time has been looked with the eyes of apprehension due to being calorific, is still a classic. 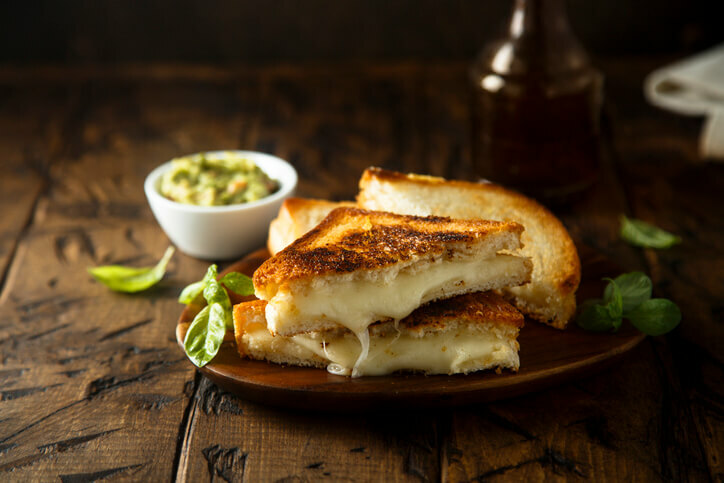 We mean, would you really have some hot gooey grilled cheese set between Ragi bread? We think not! 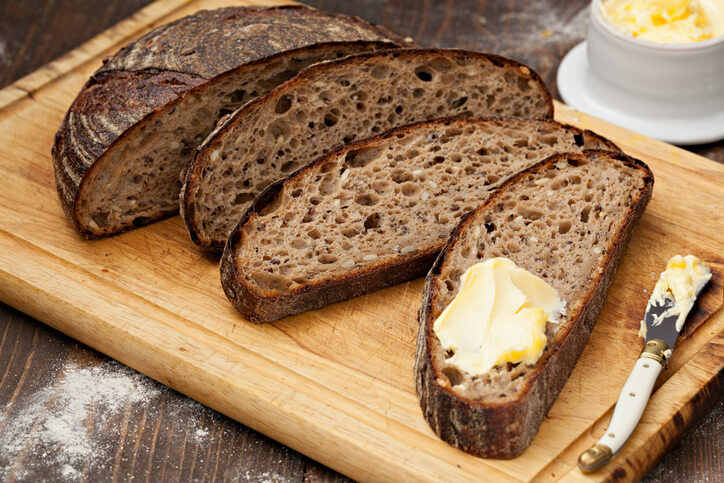 Made with a combination of rye flour and rye berries, this bread with the adorable name is slightly coarse, hardened in texture, dark in colour and sweet in the flavour. Pair it up with contrasting toppings, and this bread is a winner! A ceremonial bread of sorts, Challah bread is a Jewish delicacy. 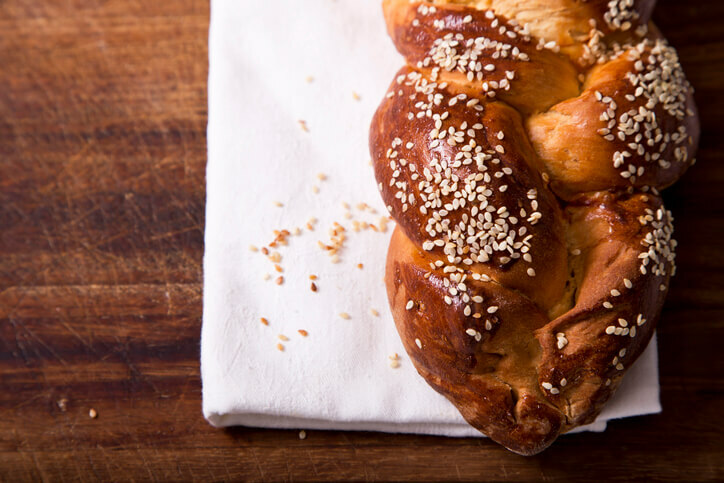 The beautifully braided bread is often made in a whole role and consumed during Sabbath, and some bit of it is left for offering the higher powers. The bread is made up of eggs, water, sugar, raisins, honey, yeast and topped with sesame seeds! Out of all the possible breads you can bake, Walnut bread is the most special one because of the subtle flavour it provides. It isn’t necessarily sweet or chewy, but it is chunky in flavour. Top it up with some figs and brie or just some jam – this is going to be a fibrous and healthy meal! The hero bread which does not need any supporting members, except for well some Olive Oil. 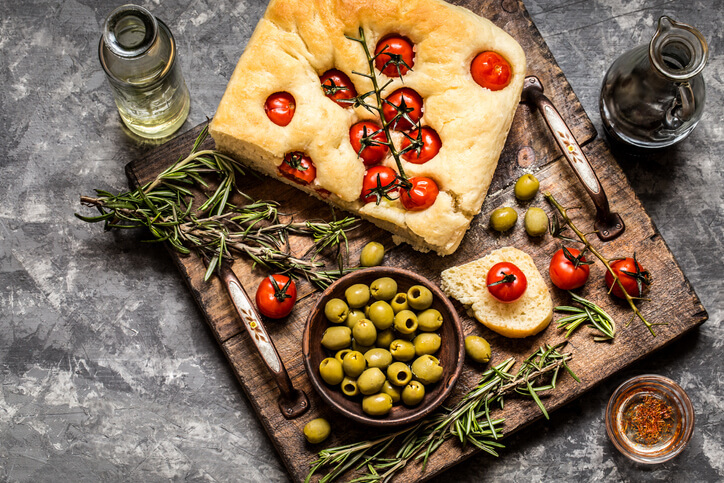 Made with herbs and our favourite ingredients like olives and tomatoes – Focaccia is perfectly Italian and even more perfectly tasty! 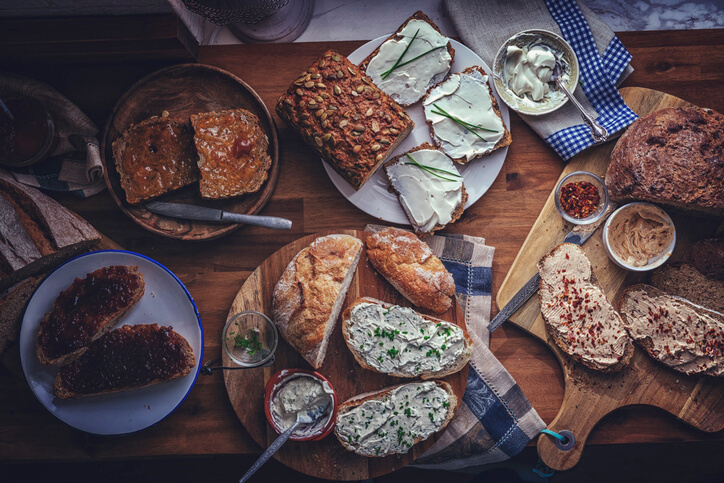 The two European breads are coarse, and the texture leaves a bit of tinge on our palates, but these breads are go-to for our confection needs. 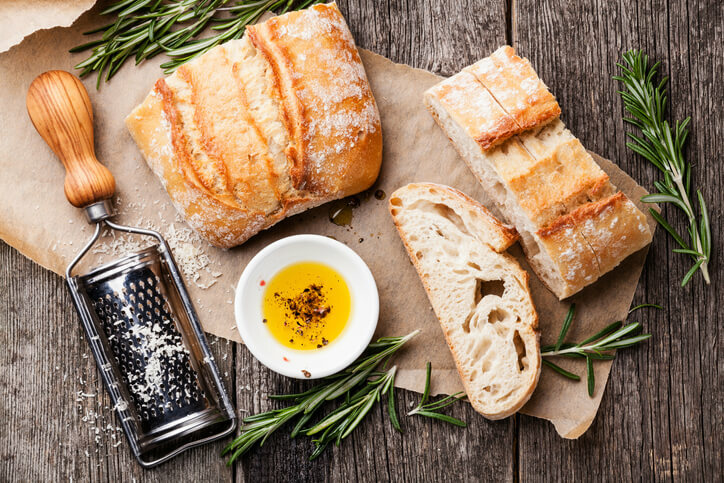 Even with a slight drizzle of olive oil, or full of veggies and produce, or with some almond butter – break them up into crostini or eat them as a footlong; these breads are endlessly delicious!